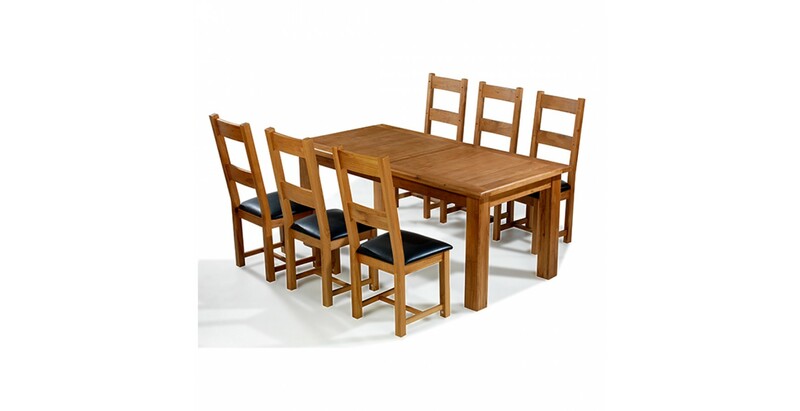 Whatever you and your family get up to at the dinner table, be it dining, working or playing games, a sturdy, durable table is essential. 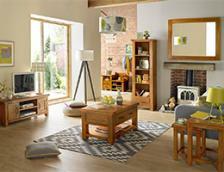 And it doesn't do any harm if it looks beautiful too, like this one from our Emsworth Oak range. 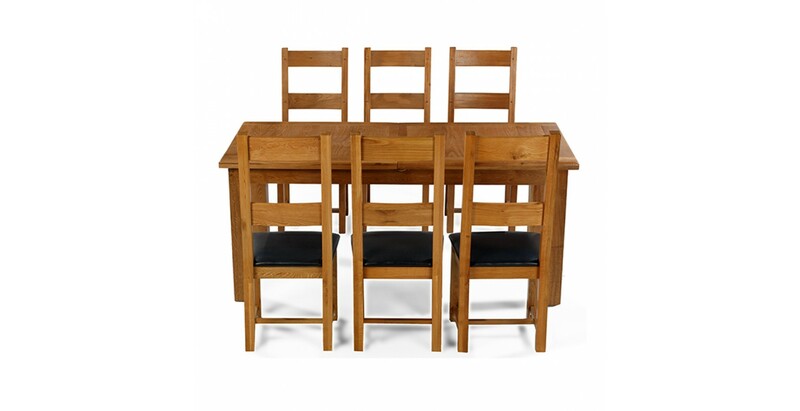 Crafted from oak, its timeless combination of crisp, clean lines and warm-toned natural rustic charm make it a must for any décor. 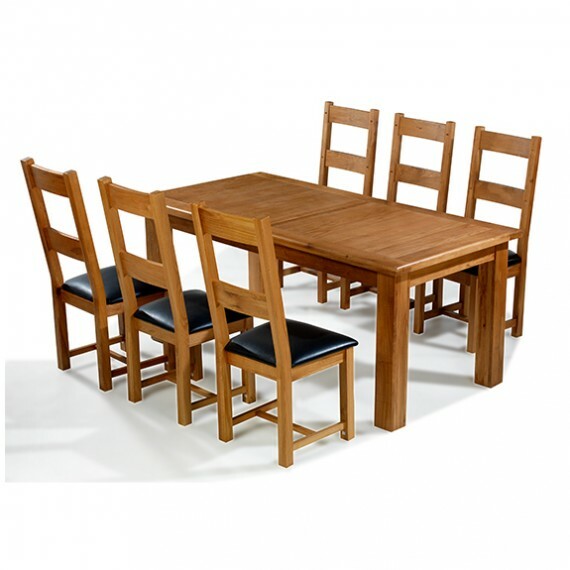 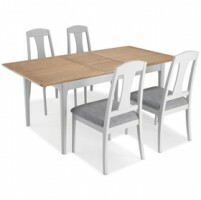 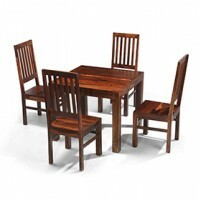 Extending up to a whopping 250cm, perfect for dinner parties, it features subtle peg detailing and softened corners on the chunky top and is finished with a wax lacquer so that its unique grain patterns can be admired. 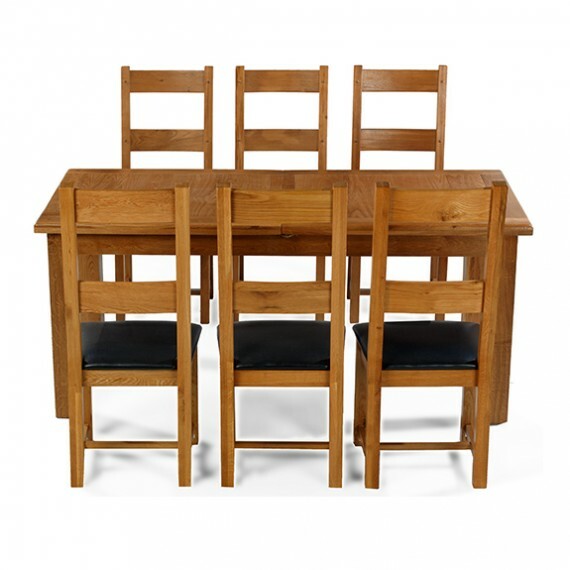 Six of our matching ladder back chairs complete the set. 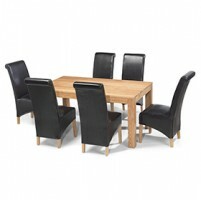 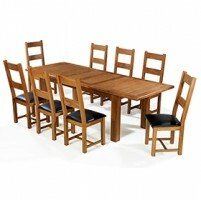 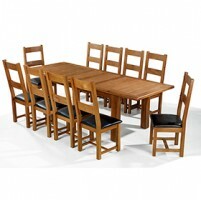 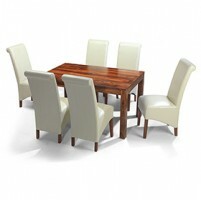 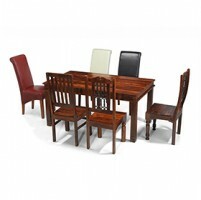 With the same rich finish as the table, each one has a padded leather seat to offer comfort and luxury in equal measure.